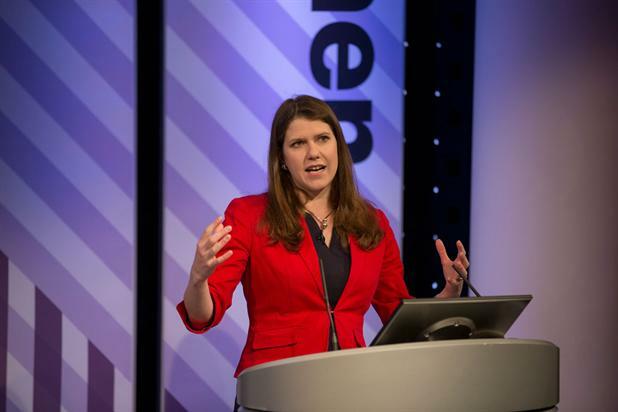 British MP Jo Swinson described her quest to become minister for women and equalities. Last week’s Omniwomen event in London marked a new step toward breaking the "glass ceiling" for women in marketing and advertising. Launched ahead of International Women’s Day and backed by the support of Omnicom’s UK leaders as well as British politicians, Omniwomen was an inspiring, empowering experience for the women (and men!) who attended. I wrote 45 pages of notes, and every single one holds priceless advice or a challenging point of view. Here are five pearls of wisdom from of Omnicom executives, clients and partners. Seek perspective. Every day, Sarah Warby, marketing director Sainsbury’s reminds herself to "look at things from the other end of the telescope." Why might someone not agree with you? What does the customer see? "If you reduce situations to ‘win/lose’ and are too focused on winning to consider the other side, you have already lost," she said. Be proactive. Whether you want a promotion or are in need of help: if you don’t ask, you don’t get. British MP Jo Swinson requested to become a Minister. Dame Fiona Woolf, former Lord Mayor of London, remembered asking to be considered for partner at a law firm. Nobody’s perfect. A handful of speakers described themselves as "control freaks," embodying the suggestion that women are likely to put greater pressure on themselves to strive for perfection. AMV BBDO's Group CEO Cilla Snowball’s top tip of the day was to seek "excellence, not perfection." Self-promotion. Women need a stronger sense of self-confidence and courage. Claire Beale, editor-in-chief at Campaign, encouraged self-promotion and suggested that women learn and know what they stand for, and make themselves experts in their field in order to be memorable. Sarah Warby also reminded us that "networking is not a dirty word" – simply an opportunity to meet interesting people and build relationships over time. Be positive. Paralympian Karen Darke was paralyzed at age 21 after a rock-climbing accident yet continues to set herself and complete the most remarkable challenges. She said that disability is a state of mind, not a state of body, and that without self-belief – you’ve already failed. Positivity is key and "in the garden of the mind, plant seeds, not weeds." Marketing organizations must hold a mirror up to society and be inclusive, reflecting diversity as well as gender. As Janet Riccio, EVP at Omnicom Group, stated: "Female leadership is not a women’s issue, but a business imperative. Companies that have diverse, inclusive management teams and boards financially outperform those who don’t. The best investment we can make is in our own human capital. " Anna Cernis is Senior New Business Manager at OMD UK. I do not believe in gender ratios. I believe in quality.